Cerebral palsy (CP) is a group of movement disorders that appear in early childhood. Signs and symptoms often include poor coordination, stiff muscles, weak muscles and tremors. There may be problems with sensation, vision, hearing, swallowing and speaking. Other symptoms may include seizures and problems with thinking or reasoning. While the symptoms may get more noticeable over the first few years of life, the underlying problems do not worsen over time. There is no cure for CP, however supportive treatments may help. This may include physical therapy, occupational therapy and speech therapy. Some affected children can achieve near normal adult lives with appropriate treatment. Several potential treatments are being examined, including stem cell therapy. However, more research is required to determine if it is effective and safe. TRAINM’s goal for CP management is to maximize the person's independence and community engagement through a multidisciplinary and individualized approach. 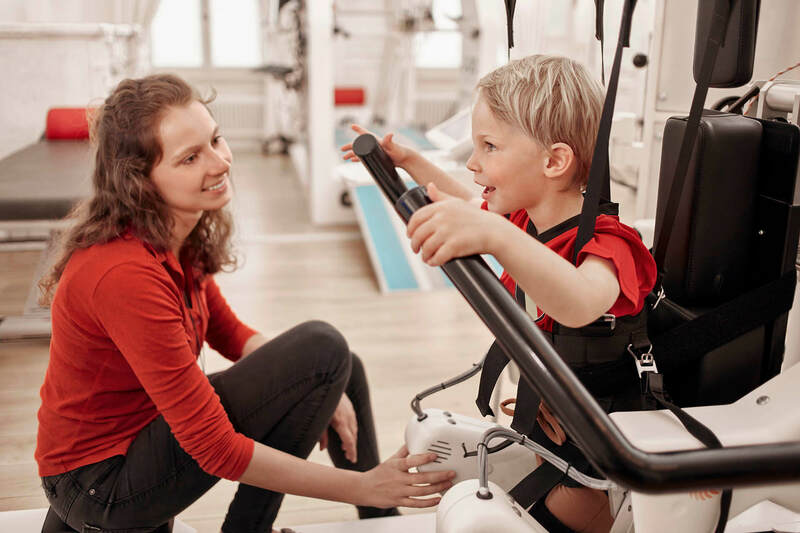 Treatment goals may include: improving gait, walking, balance, coordination, arm and hand function, speech, cognition as well as spasticity reduction.